The Tour “Salty Path” has a duration of approx. 8 hours. You will be picked up with our private transport from your hotel at 08:30 am and we will make our way to the community Campesina de Cruzpata from where we continue our journey to the archaeological Center of Moray, the village of Maras and finally the Salt mines. 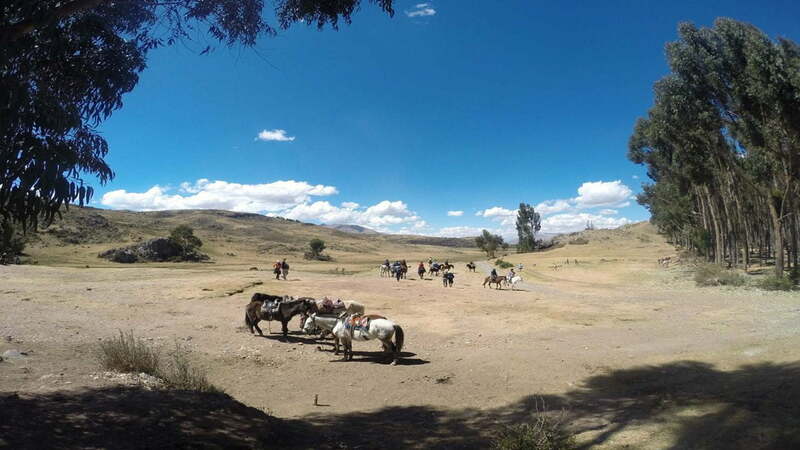 Once coming to the community Campesina de Cruzpata, we will get in contact with our muleteers and horses to go to the archeological center of Moray. On our way we will be surrounded by breathtaking landscapes, snowy mountains, agricultural fields and see full production process. Upon arrival in Moray our guide will explain the importance of this archaeological center, where the Incas worked with plants and food in order to adapt them to different altitudinal floors. According to scientific research, the agricultural terraces can have up to 15 degrees of difference in temperature. 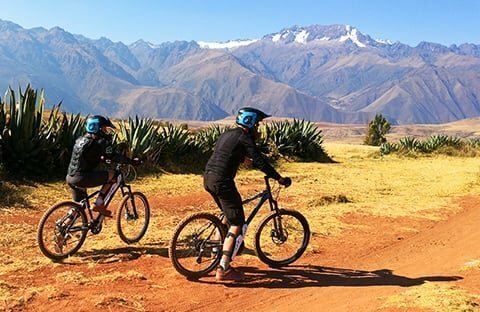 After visiting the archeological center of Moray, we will take our horses and ride to the center of Maras, we will do a little tour in this picturesque village where we can appreciate a church that is more than 400 years old. 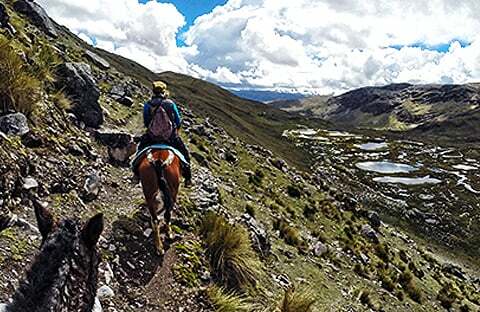 Here in Maras we will leave our Nobles Horses to take our private mobility to the famous “salineras” or salt mines. This place has been exploited by locals even since pre Inca times, it has small wells to hold water which contains particles of salt that settle at the bottom of the well and are then extracted. 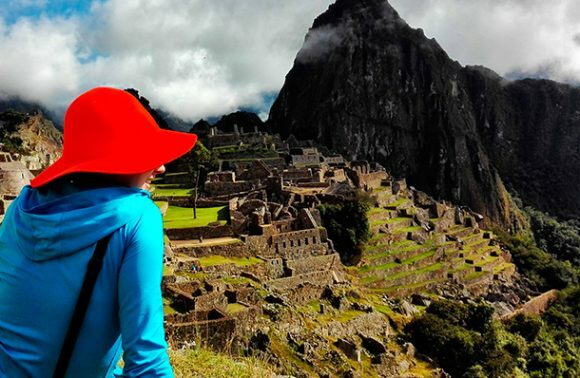 Once the visit is over, we will return to the city of Cusco in our private transportation. Our excursion will end at approximately 16:30 hours (4:30pm) in Cusco.